The number of laptops, smartphones and tablets shipping with 802.11ac WiFi is on the rise but many people will not be able to take advantage of the speed increase over 802.11n without a corresponding router upgrade. There are a plethora of high-end AC routers on the market to service AC-capable devices, the quality and performance of which is constantly improving with new chipset revisions. 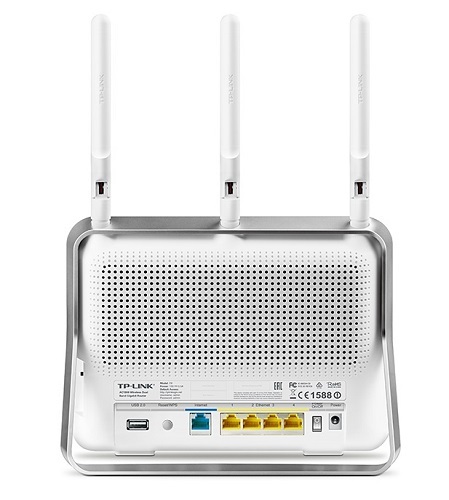 The TP-Link Archer C9 that we have in for testing today makes use of the AC1900 standard which entails 600Mbps on the 2.4GHz band and 1,300Mbps on the 5GHz band. The dual-band AC1900 is only supplanted by tri-band AC2350 and AC3200 offerings that are reserved for speed-demon routers such as the ASUS RT-AC3200 and the Netgear Nighthawk X6 AC3200. In practice, AC1900 is more than enough for even the most bandwidth-hungry home user and strikes up a more reasonable cost-to-performance balance. The extensive bandwidth on offer with increasingly powerful routers is squarely aimed at sizeable households with numerous devices where the additional bandwidth capability comes in useful. Most single devices, such as a laptop or tablet, cannot exploit all the available bandwidth, but add five or six devices together and the story is very different. 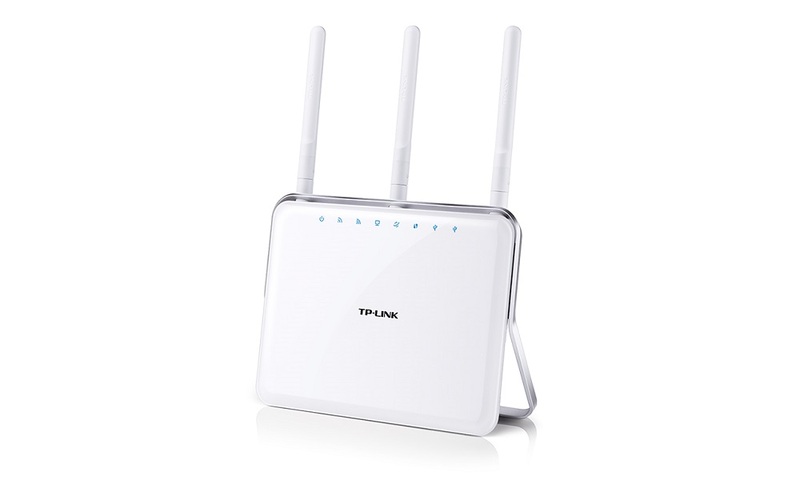 The TP-Link Archer C9 sports a dual-core 1GHz CPU to manage the Gigabit and WiFi processing as well as integrated functions such as traffic management and USB file-sharing. In feature terms the TP-Link Archer C9 is very similar to the ASUS RT-AC68U - the primary difference is the inclusion of two USB ports, one USB 2.0 and one USB 3.0, instead of a single USB 3.0 on the rival model. Aesthetically the Archer C9 is classy and sleek with a glossy-white front and colour-coordinated antennae. An attempt to simulate brushed metal has been made with the plastic shroud that also doubles as the router's stand, although it isn't adjustable in any way. Connectivity is well-fleshed-out for a device of this calibre - USB 2.0, USB 3.0, four Gigabit Ethernet ports and a WAN port make up the primary I/O. 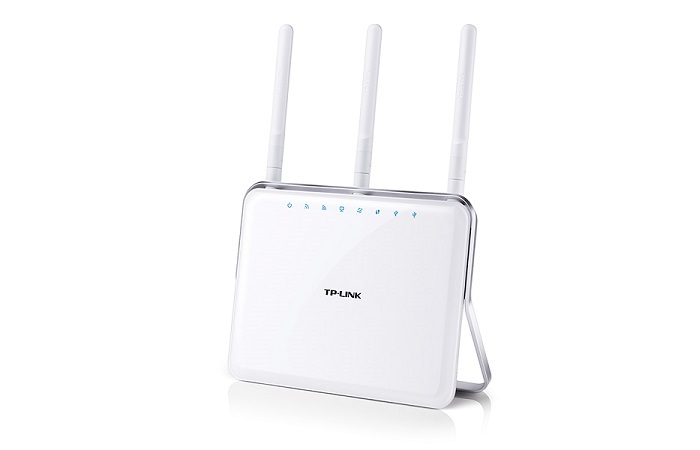 TP-Link also provides a WiFi radio switch and WPS button for those who require such functions.